China’s steel giant Anshan Iron and Steel Group Corp, or Ansteel Group, has made deals with 15 globally prominent suppliers from seven countries, including Germany, the United States, Australia and Japan, during the China International Import Expo. Contract details were not disclosed, but the deals are said to total “quite a few billion dollars”. The company said the deals show its willingness to cooperate deeper with partners on the global industrial value chain, which is good for the healthy development of both Chinese and the international steel industry. 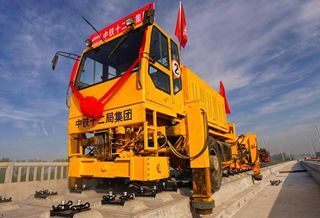 “Ansteel Group is proactively taking part in the Belt and Road building, as well as other national strategies such as the revitalization of Northeast China and is on the track of structural upgrading and innovation-driven high-quality development,” said Yao Lin, chairman of the company. Deeper opening-up and international cooperation will contribute to be the healthy development of both the Chinese and the international steel industry, he said. The contracts were signed at the end of a so-called steel industry chain cooperation and development forum, which the company jointly held with businesses-to-business e-commerce service provider Zhaogang.com at the expo on Wednesday. Experts and corporate executives from both China and abroad shared their views on international cooperation in the steel industry during the forum. The success of the Chinese steel industry and Ansteel Group critically depends on the relationship with partners on the domestic and global value chain, and such cooperation is even more important in light of the environment the steel industry faces, including rising protectionism, she observed. She said she has been impressed that Ansteel Group has developed into a global player from a local steel company when she first visited the company in 2006. The company operates business in more than 26 countries and regions, produces 40 million tons of steel annually, and has established a globalized value chain, which is a reflection of the success of Chinese steel industry, she said. In 2018, Ansteel Group was listed on the Fortune 500 for the fifth time, with 2017 revenue reaching $27.79 billion. She said that Chinese companies have been making enormous efforts to improve product quality, invest generously for research and development to enhance ability to innovate and stay in frontline of innovation, and take environment protection seriously. Chi Jingdong, vice-president and chief analyst of China Iron and Steel Association, said steel demand will remain high in China for a relatively long time because the Chinese economy continues to grow, and the Chinese steel industry will experience innovation in technology and cooperation both home and abroad.